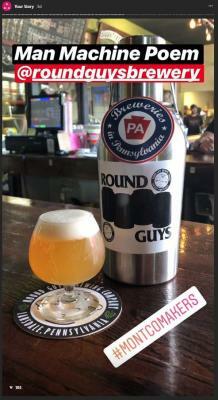 A digital promotion company focused on Pennsylvanian craft beer took to Instagram to highlight three thriving breweries in Montgomery County. 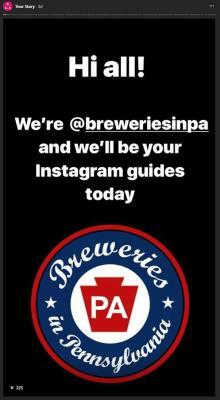 Breweries in PA, which has over 33,000 social media followers, continued to connect beer drinkers to the PA brewing scene by recently taking over the Visit Valley Forge Instagram page. 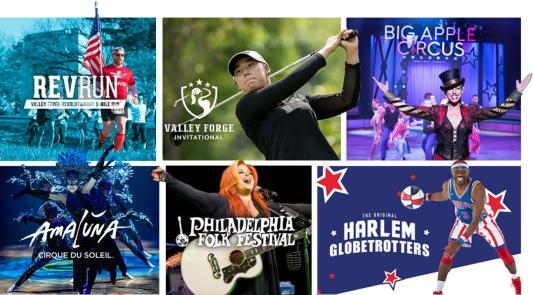 Social users were encouraged to follow along as Breweries in PA formally introduced Valley Forge Tourism and Convention Board’s newest brand, Montco Makers, to their following. 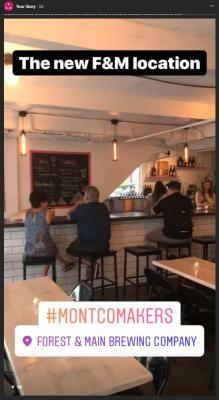 Montco Makers is your comprehensive guide to over 30 craft breweries, wineries, and distilleries in Montgomery County, PA. The first stop for the brew gurus was Conshohocken Brewing Company - Bridgeport Brewpub. This renowned, Bridgeport-based craft brewery specializes in various IPAs, Imperials and an unrivaled ESB (Extra Special Bitter). With a two-story tap room and plenty of outdoor seating, the Brewpub offers an ambiance for everyone. 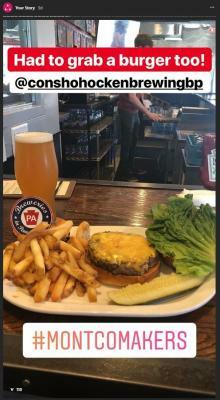 In addition to flights, pints, and even cocktails, the folks at Breweries in PA indulged in juicy burgers and fried chicken sandwiches to conclude their first visit. Next stop: Round Guys Brewing Company. 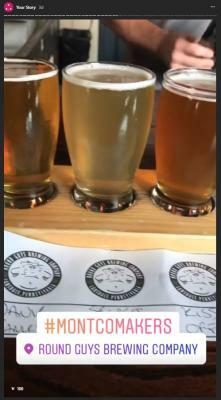 Social Media users were given a behind-the-scenes look at the operations of this Lansdale Brewing Company. To complement the 16 freshly brewed beers on draft, visitors are invited to battle it out in a friendly game of, wait for it… Nintendo 64. Millennials, we’re talking to you. Final Stop: Forest and Main Brewing Co. in Ambler, PA. This brewing company doubles as an old farm house and sits at the intersection of (you guessed it) Forest and Main streets. This year, they opened a second location next door to add to their ever-growing tap list and live musical entertainment. 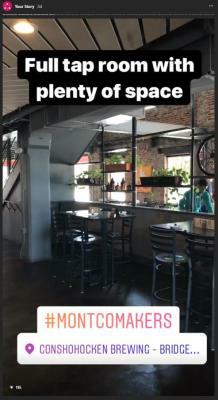 Perfect spot for a pint, a bite to eat, and a good time. 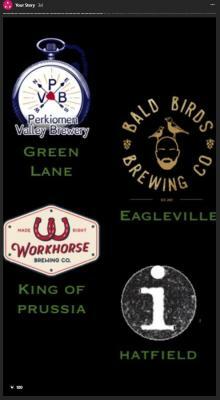 By 2019, Montgomery County will welcome at least eight new breweries to the Montco craft beer family: Workhorse Brewing Co., Perkiomen Valley Brewery, Bald Birds Brewing Co., Imprint Brewing, McAllister Brewing Company, Black Mammoth, Ten 7 Brewing Co., and Kershner Brothers Brewing Co. to name a few! Thank you to Breweries in PA for highlighting a portion of the craft beer scene in Montgomery County. With over 20 breweries calling Montco “home”, there’s so much to explore in this beer-centric county. 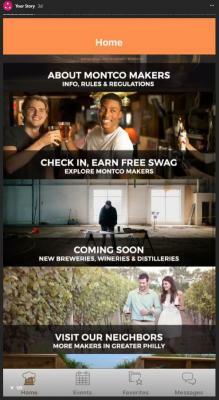 Consider downloading the Montco Makers app on the App Store or get it on Google Play for an incomparable, new-age drinking experience. Follow @VisitValleyForge and @BreweriesinPA on social media, and always remember to drink responsibly.